Our fly shop, Flint Creek Outdoors, is located in picturesque Philipsburg, Montana. Shadowed by the Pintlar Mountains, Philipsburg is a mere 15 minutes from world famous Rock Creek, the same from Georgetown Lake, 30 minutes from the Clark Fork, less than an hour from the fabled Big Hole River, and walking distance from our name sake Flint Creek. 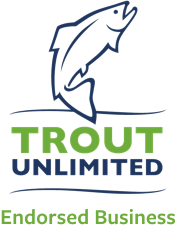 Our manager, Josh McKown and associate, Bruce Burnett’s total hours on the area’s waters are enviable and afford an unparallel advice for visiting anglers. 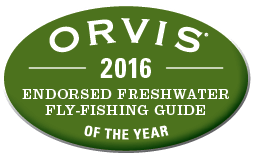 Our angling products include Orvis rods, reels, equipment and gifts, Simms waders, boots, outerwear and packs, Galvan fly reels, Fishpond chest packs and bags, Redington rods, Rio fly lines, leaders and tippet, Costa and Suncloud sunglasses, and more than 10,000 Montana Fly Company flies in stock. For those who want a bit of Montana we carry a huge assortment of our Blackfoot River Outfitters and Flint Creek Outdoors logo wear and hats. Feel free to call us to fill all your fly-fishing gear needs—and remember there is no sales tax in Montana. We invite everyone to stop in at Flint Creek Outdoors and meet our manager Josh McKown, when fishing or passing through the Philipsburg area. If you can’t get to Montana but want to support our store, click on our “On line fly shop” button in the left and shop from your favorite chair. To contact our shop, call Josh at (406) 859-9500 or contact us via our Contact Form.